As everybody knows the work of house shifting in Sharjah is too critical, the goods in your house are very sensitive like the items of glass, electronic items like fridge, microwave, etc. Therefore you cannot move them yourself from Sharjah. You must have to take help of professionals for yours house shifting in Sharjah. But how it is possible without knowing about any best and affordable mover and packer in Sharjah. No Need to worry, A to Z movers Dubai is not only best but also cost-effective for the moving and house shifting in Sharjah. A to Z movers and packers Sharjah are well-known in Sharjah because of our reliable work and best rates. Here are some best ideas to find the cheapest and reasonable movers for house shifting in Sharjah. We are one of the best movers in Sharjah, Movers in Dubai, movers in Abu Dhabi who provide an array of services that include packaging services, office movers in Dubai, House Shifting in Sharjah & many more. Apply these best two ideas and save your money and time both. According to the A to Z Movers and packers Sharjah following tips can make your shifting tension free when your budget is low. Throw or donate unwanted things: Do not carry unwanted things which are not for use further. Make a list of your items: After sorting the goods, you make a list of those big items which you want to shift through professionals. 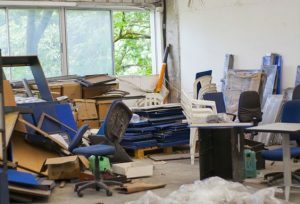 Searching: Now, it’s time for searching, collect knowledge about packers and movers companies for house shifting in Sharjah, and you can also ask about your family and friends if they had shifted earlier. If it does not work, search on the internet. You have to search about house shifting in Sharjah. Make a list of Only Top Companies: While searching for moving packing companies in Sharjah you will definitely like some of them. Hence, make a proper list of those companies which you like. Also write their contact details (contact number or email id), so that you can contact easily and directly. Try to plan in off season: If your budget is very low then do not make a plan on Friday or Saturday. So instead of that time you can go in any other days. Ask for 3–4 quotations: Call to your listed companies and ask them to send their best quotation. Select the lowest offered quote then. Hire the nearest one: If you hire any company from out of your city. So hire your nearest mover and get cheap rate and best service for yours house shifting in Sharjah. Go for sharing if you have little items:If the rate is high after doing those all. You can take help of sharing if you do not have much luggage. There is no need to book a whole and a big truck for some items like fridge, chair etc. You can book a pickup or mini vehicle or can go for sharing. Verify yourself: Now, you have to search on those companies who sent you best and most reasonable rates for your house shifting in Sharjah. You must check their previous reviews online and call them to meet in their office. So that you can also verify the office and will know about their reliability. We are very thankful to spend your time to read ours page for yours house shifting in Sharjah. 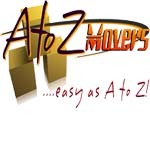 Actually A to Z movers will be the best Choice for yours house shifting in Sharjah. You can contact us any time at ours mobile number +971556821424 for yours inquiry.